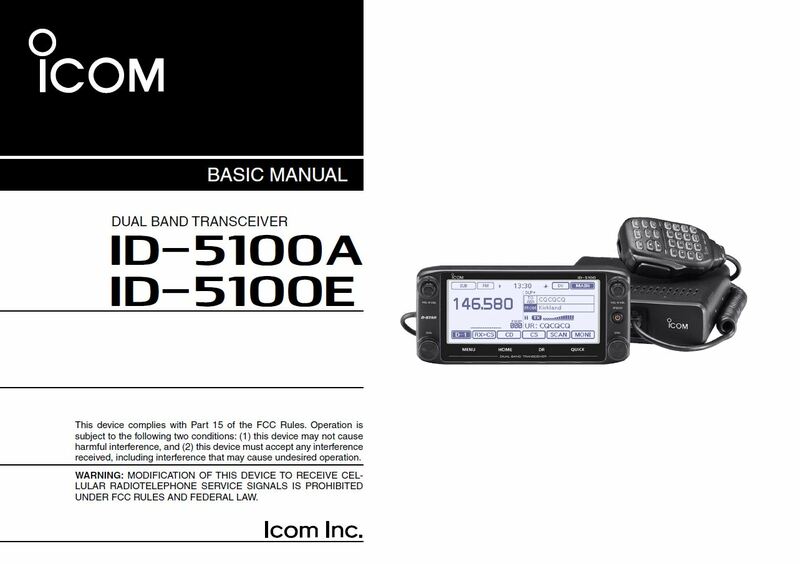 Icom ID-5100A Users Manual (Basic) Now Available! Icom has posted the Basic User Manual for the ID-5100A on its web site. I hope this means that the radio will be available very soon. The manual is full of information about this potentially great new D-Star radio from Icom. Here’s the cover of the manual. 4 Responses to Icom ID-5100A Users Manual (Basic) Now Available! HRO has pricing up as well, with a $50 discount for purchases in April. I hope this means delivery is imminent. HRO called me today on my id-5100 preorder. They said FCC approval is a go! And they have charged my card. Late april expected delivery. Please oh please!